Donald B. Welch is an accomplished singer, actor, writer, director, playwright, producer, and now, author. 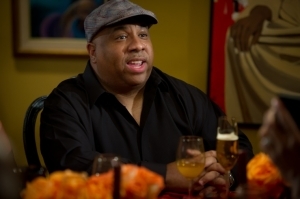 As a playwright, he has written and directed over 19 productions, the most successful being The Bachelor Party, The Bachelorette Party, My Brother’s Keeper, The Divorce, and Hallellujah Mahalia. In addition, Welch has worked as a writer for superstar friend and fellow Philadelphian, Will Smith. Signed by Random House Publishers in New York, Donald has written two very successful novels, The Bachelorette Party and In My Sister’s House. He is currently working on a third. Most recently, Welch directed his first film, The Bachelor Party, which has been released nationally by Image Entertainment. His newest feature, 24 Hour Love will be released nationally in 2013. The accomplished producer is set for two more films, The Divorce and My Brother’s Keeper in 2013. 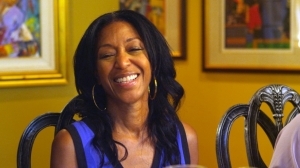 Robi Reed is an Emmy Award-winning casting director and producer, and has been a leader amongst casting directors in the motion picture and television industry for over twenty years. With more than 50 films to her credit, her rise to success as a casting director began with the film, School Daze, written and directed by Spike Lee. She went on to work with the writer-director on subsequent projects, including Do the Right Thing, Mo’ Better Blues, Jungle Fever, Malcolm X, and Clockers. She cast Denzel Washington’s directorial debut, Antwone Fisher, and Oprah Winfrey’s acclaimed ABC television movie, Their Eyes Were Watching God. Her most recent successes in film include Tyler Perry’s For Colored Girls and I Can Do Bad All By Myself. She is currently Vice President of Talent and Casting for Original Programming at BET Networks, where she oversees all scripted and reality shows for the network.